Republican Attorney General Adam Laxalt testifies before lawmakers on May 17, 2017, in Carson City. Photo by David Calvert. Republican Attorney General Adam Laxalt delivered adamant testimony before a rapt panel of more than 20 lawmakers on Wednesday, arguing that his efforts to convince Nevada’s top gaming regulator to intervene in a contentious private lawsuit involving one of his biggest campaign donors were absolutely routine and done on behalf of the state, not the Las Vegas Sands. The Wednesday night hearing marked the first time that Laxalt, a rising conservative star and likely 2018 gubernatorial candidate, extensively addressed a conversation he had with Gaming Control Board Chairman A.G. Burnett in a hastily arranged coffee shop meeting in March 2016. Burnett said he felt the circumstances of the encounter — as the suit and several investigations into the Sands were swirling — were alarming enough that he took the unprecedented step of secretly recording it on his phone. The FBI, after reviewing the recording, determined that no criminal actions had occurred. The board considered the case closed until nearly a year later when The Nevada Independent broke the news of its existence. Laxalt defended himself in a lengthy, written opening statement and fielded pointed questions for over an hour, saying his actions were consistent with historical practice from the attorney general’s office and that his request for Burnett to file a narrow amicus brief was consistent with a normal attorney-client relationship. The Sands had been trying to keep an internal audit away from plaintiffs in a wrongful termination lawsuit — which it eventually settled for a reported $75 million — and believed the board’s confidentiality statute aimed at ensuring the free flow of information between regulators and licensees could be a basis for that argument. Two new key points of information emerged from the hearing — the fact that Burnett decided to turn the recording over to the FBI after consulting with Governor Brian Sandoval’s top attorney, and news that the state gaming regulators asked Laxalt to back away from this specific case. “Has the Gaming Control Board asked you to recuse yourself or asked for the ability to retain outside counsel?” Republican Sen. Ben Kieckhefer asked. “Yes, they have, on this particular issue,” Laxalt said. Burnett said he wasn’t in the practice of recording people. But there was something about Laxalt’s urgent text messages, the timing of a meeting squeezed in before a vacation and a family dinner, the fact that Laxalt personally picked him up. The two men had been friendly and rode bikes together a handful of times — including once when Laxalt crashed in front of Burnett’s house and he had to “repair him,” Burnett said. They talked about business on a surface level, but nothing as technically deep as he’d do with Laxalt’s deputies, who were gaming law specialists. Laxalt’s invitation for a talk came as multiple investigations and a bitter lawsuit were swirling around the Las Vegas Sands, after Burnett’s confidant told him Laxalt and the Sands had been meeting without his agency’s staff, and after he’d been tipped off that Laxalt would seek a meeting. Burnett described how he was picked up at a car dealership while his vehicle was getting lubed and the two drove around looking for a place to talk before finally settling on a Reno coffee shop. After they sat down, he put his phone on the table in front of them and started the recording. The 30-minute recording ends somewhat abruptly. Lawmakers wondered Wednesday about the length — both why he didn’t start recording when the two were driving, and why it ends in the middle of a sentence. Burnett said that hesitation came in part because of the Sands aggressive posture, with representatives of the casino giant reaching out to Burnett, Sandoval and Laxalt several times asking them to intervene or get involved in the case. Burnett said he turned over the recording to his technology division and talked to his staff after the encounter. He then consulted with the general counsel, Joe Reynolds, in Sandoval’s office, who recommended handing it over to the FBI. He said he still believed that not intervening in the private litigation was the “right call” for the board to make. Burnett also laid out a timeline of events amid accusations from Republican Senate Minority Leader Michael Roberson that there were too many coincidences and he might be colluding with Democrats. Shortly after the conversation with Laxalt, Burnett took notes about it while the encounter was still fresh in his mind. At the end of April 2016, enforcement officials with the Gaming Control Board reached out to the FBI. The FBI got back to the board in mid-May; Burnett recalls sitting down with an agent in Las Vegas. In August, he converted the notes into an internal memorandum and stored them for safekeeping. At the beginning of the 2017 legislative session, he was approached by Nevada Independent editor Jon Ralston, who laid out the details of the story. In February, when Burnett learned the news would break, he sent the memorandum internally to high-level staff. Shortly after, a third-party ethics complaint was filed against Laxalt. In mid-March, anticipating an ethics investigation, Burnett prepared an affidavit and sent it to a lawyer for the board for review. On April 26, the internal lawyer returned the affidavit to Burnett. On April 27, he had the memorandum notarized. On April 28, while he was on a run, he got a call from Assemblywoman Maggie Carlton seeking information on the case. Lawmakers asked him questions about the short timing between when he prepared an affidavit and when Carlton requested it — something that critics have pointed out was too perfectly aligned. The attorney general started his lengthy, prepared opening statement by quoting several times from the transcript of the conversation, which was made public for the first time on Tuesday. According to Laxalt, the issue started in late 2015 when Sands approached the Gaming Control Board asking it to file an amicus brief in the wrongful termination lawsuit filed against the company by former Sands Ltd. CEO Steven Jacobs, who alleged that Adelson directed him to collect evidence of Macau governmental officials to use as “leverage” on casino regulators. Sands wanted the board to spell out the “important state interest” in protecting against the confidential disclosure of documents that had been turned over to the board, Laxalt said. In his retelling of the events, Laxalt sought to push back against accounts that he had gone against the advice of his senior deputy attorney general when he met with Burnett in March 2016 and asked him on behalf of Sands to intervene in the lawsuit. He instead painted a different picture in which a senior deputy attorney general indicated support for filing an amicus brief on one “narrow” issue in the case. During a December 2015 meeting between the Gaming Control Board, Sands and two deputy attorneys general, Senior Attorney Ketan Bhirud expressed skepticism about filing a brief under several different theories proposed by Sands except one — that a litigant should not be able to ask someone other than the board for documents provided to the board as a workaround to the state’s confidentiality statutes, Laxalt said. Similar reasoning was used in a 2013 amicus brief by then-Attorney General Catherine Cortez Masto, a Democrat, intervening in an ongoing lawsuit between Joe Asher, CEO of William Hill, and his former partners at Cantor, now known as CG Technology. The court ordered Asher, the defendant, produce his communications with gaming authorities regarding Cantor, the plaintiff, and their executives of employees. During Burnett’s testimony, he noted that the 2013 case was different because Asher came to the board as a confidential informant and was being asked in the lawsuit to state details regarding any conversations he had with the board about Cantor. Still, Laxalt noted that the theory that someone shouldn’t be able to request communications with the board from an individual could have been applicable in the Jacobs suit as it was in the Asher case. He delineated the information that Sands wanted the board to declare confidential into two categories: documents Sands shared with just the gaming control board and documents that they shared with the board and federal authorities, such as the Securities and Exchange Commission and the Department of Justice. Laxalt said that attorneys in his office were “consistently clear” that they didn’t believe arguments about the second category of information “had much legal support’ and that they weren’t interested in writing an amicus brief about those documents. The senior attorneys general communicated that in December and January to Burnett, a point that another attorney repeated in a March email to Burnett, he said. Laxalt also said as much in his recorded conversation with Burnett. But Laxalt said Burnett did agree with his office’s earlier legal analysis that the board did have an interest in protecting documents that had only been turned over to the board, but was still hesitant to file a brief inserting the board into private party litigation and thought it might make more sense to wait until the matter was appealed. At some point, Laxalt said he met at The Venetian with Adelson, Sands executive Andy Abboud and their general counsel, during which they asked if the board had decided on the amicus request and also asked him to consider whether he — as the attorney general — would write an amicus brief on behalf of the state alone, if the board didn’t want to get involved in the suit. Laxalt told them they would consider the request though it was “highly unlikely” the state would intervene without the board’s concurrence. At the meeting, Laxalt urged Burnett to file an amicus brief on the “narrow” issue of documents Sands had shared with the board alone. He said that before and after the meeting he believed Burnett was considering filing an amicus brief on the narrow issue and was “simply unsure” whether to file it at the district court or appellate level. The recording of the conversation between Laxalt and Burnett does not make clear what type of information specifically the board would have asked to keep confidential in the “narrow” brief, as much of their discussion centers around an internal audit prepared by the Sands — a document that both the board and federal authorities possessed. At a April 5 meeting between the two senior deputy attorneys general, Burnett made it clear that the board would not file an amicus brief on the issue. “In any event, it is important to reiterate the obvious: because our office deferred to the Board’s decision (or lack thereof), no amicus brief was ever filed,” Laxalt said. But when it came to questions, Democratic legislators pushed beyond the scope of the would-be amicus brief, asking Laxalt why he took a personal interest in the case and continuing pushing the issue, given the relatively narrow scope of the alleged state interest involved, trying to delve into the close relationship between Laxalt and the Sands. Adelson donated more than $100,000 to Laxalt and his associated political action committee through personal, family and Sands properties since 2014, and Laxalt’s former campaign manager, Robert Uithoven, is a longtime Sands lobbyist. Laxalt said that he and his deputies were only focused on the narrow section of confidentiality from the very beginning, and defended his meeting with Adelson as a regular part of duties in meeting with everyone from CEOs to “regular business folk” in determining whether or not to intervene in cases. 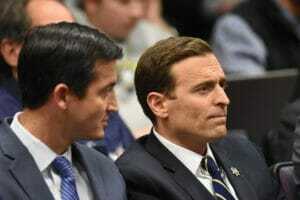 Democratic Senate Majority Leader Aaron Ford said the conversation revealed Laxalt’s attempts at pressuring Burnett and could be reasonably interpreted as an attempt at coercion. They asked whether he gave all of his clients the personal attention he had given to an issue involving the Sands, with whom he has close ties. Laxalt — who noted there was “zero coercion” in his voice in the taped recording — said it was “crystal clear” from his testimony and the recording that he was advocating on behalf of the state, the Gaming Control Board and the industry in an attempt to preserve the state’s gaming confidentiality statute. According to Laxalt, Sands had indicated that if the board wouldn’t file an amicus brief on a broad swath of issues that they shouldn’t file it all — in contrast to the narrow brief Laxalt recommended the board file. Laxalt blamed the “selective” release of information and documents related to the case for coloring a perception that his request made to Burnett was different than the advice given by his deputy attorneys general to regulators and Burnett on filing the brief. “The wild thing about all of this is that we were all on the same page the entire time,” he said. The original basis for the hearing was to consider a bill that would give the Gaming Control Board its own legal counsel, outside the authority of the Attorney General’s Office. Laxalt defended the current relationship between his office and the Gaming Control Board, saying that occasional public disputes were “nothing new” and that the current system worked as intended. He said that merging the legal and regulatory functions as suggested under the bill would be unprecedented, and that it was similar to keeping a sheriff’s office and district attorney separate entities. “Shifting the entire structure over this conversation that we now have got to read and listen to is just simply impossible to understand,” he said. 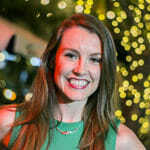 Democratic Assemblywoman Maggie Carlton, who co-chaired the committee and introduced the bill, said the simple fact that Burnett was nervous enough to feel the need to record the conversation meant legislators needed to take a look at overseeing the structure between the two regulatory bodies. “The fact that your client was uncomfortable enough to record the conversation gives me pause,” Carlton said.